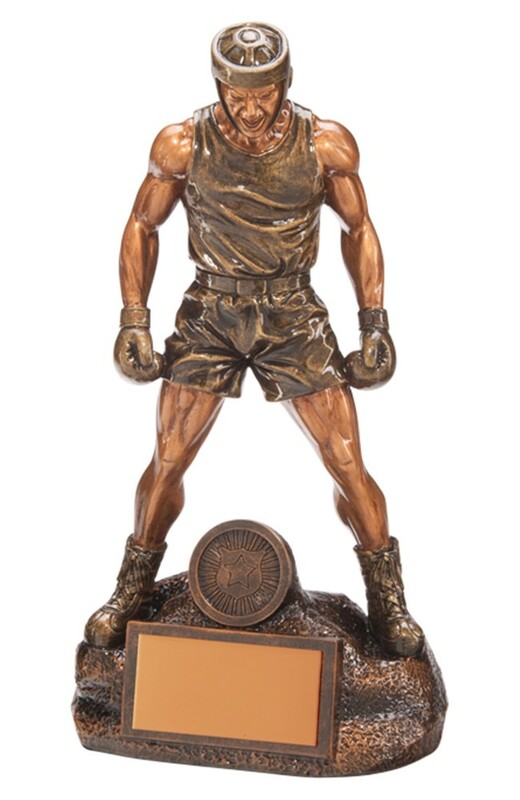 Resin Ultimate Boxer Figure Trophy. Available in 4 sizes, 205mm, 225mm, 245mm and 265mm high. Resin boxing figure award, antique bronze with gold detail. A great detailed solid resin boxing award.